The Historical Society has a chance to get one of our artifacts onto the Virginia Association of Museum’s Top Ten Endangered Artifact list. The story begins when I (The ESVHS Collections Manager) started at Ker Place this past May. Like every visitor, I began by taking a tour of Ker Place, but unlike most guests, I viewed the building and artifacts from a curator’s perspective, getting a feel for all of the objects, portraits, and furnishings in the rooms. As I walked into the silver room, I viewed all of the portraits and framed artifacts on the walls and I noticed that on one of the walls was a framed sampler. I was struck by how beautiful and unique this sampler was. Stitched with a variety of embroidery techniques, it also included a family register, rather than the bible verse or poem that was more common for the time period. T he sampler was completed in 1844 by Elizabeth Griffith. It was found in a farmhouse near Capeville, VA by a couple in 1987. The couple, in turn, donated it to the Historical Society in 2013. It was hung in the Silver Room as a compliment to the Ker Family Sampler already hanging in there. My eye was drawn to the french knots Elizabeth Griffith used to create grass, the small vine and stem stitches that formed the willow tree, and the patience it must have taken to stitch the satin stitches in the flower petals. From the early 17th to the late 19th century, young girls between the ages of 10 and 14 demonstrated their skill with a needle by creating samplers, some as simple as a short poem and their names, others as elaborate to include flowers, trees, and multiple embroidery techniques. With several flower and tree motifs and a variety of stitches, Elizabeth Griffith certainly showed off her skill! 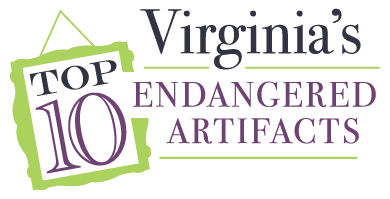 Within the next few weeks, I received an email from the Program Assistant at the Virginia Association of Museums asking for us to nominate one of our artifacts for their Top 10 Endangered Artifacts program. I remembered this embroidered piece and thought it would be a wonderful nomination. This program would bring attention to not only this piece, but to our collection as a whole. The nomination was accepted and the piece is now up for public voting. This is where we need your help! Please go to https://www.surveymonkey.com/r/2015VATop10, and scroll down to the Needlepoint Sampler/Griffith Family Register and click “YES!” Don’t forget to scroll down to the bottom of the page and click “Submit My Vote” so your vote counts in the tally. Voting ends August 23, so vote as often as you can! It has been a whirlwind summer so far as the Eastern Shore of Virginia Historical Society’s Collections Manager. Daily tasks have varied, but one project I have been working on is inventorying and re-organizing the Genealogy section of our Library collection. 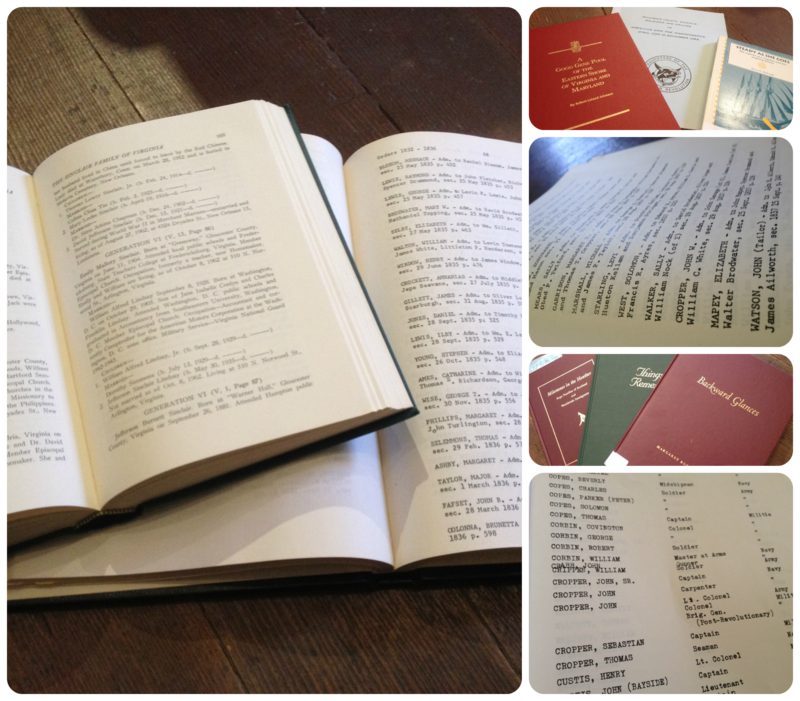 This excellent resource for researchers and genealogists has been updated to include recent additions. Books are shelved alphabetically by family last name as listed on the family record. Underneath the printed and published genealogies are books and periodicals of resources, such as lists of marriage licence bonds in both Accomack and Northampton Counties as well as other nearby Virginia Counties. Other exciting resources include Will and Administration Records, 1850 and 1860 Census records, and records of soldiers and sailors of the Revolutionary War from both Eastern Shore counties. Work continues in other sections of the Library and Archives to organize and inventory documents and books. By the end, our archives and library will be searchable in our database, making research family history and other subjects about the Eastern Shore faster and easier. 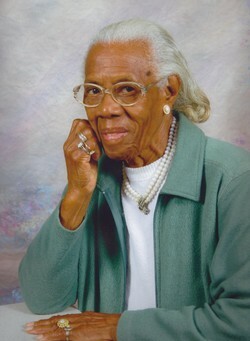 Do you have evidence of family history along the Eastern Shore of Virginia? Come visit our the Genealogical Library at Ker Place, 69 Market Street, Onancock, VA or contact me, Stephanie Templin at collections@shorehistory.org for questions or research requests.